Make your next Zoo visit the most wild one ever by adding* a behind the scenes tour to your day. During this unforgettable adventure you will not only see the Zoo from the keeper perspective, but also learn how we care for your favorite animals! Please review our policies tab below prior to reserving a tour. Questions? 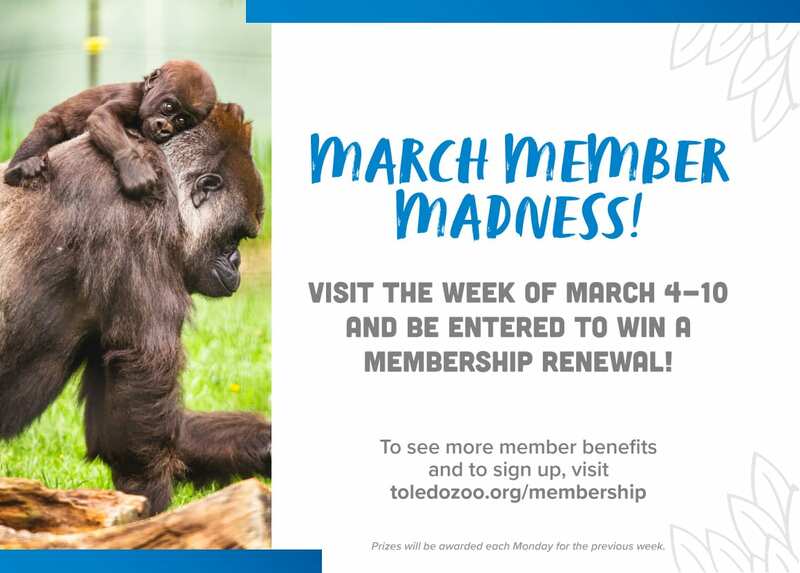 Please contact the Zoo’s education department at 419-385-5721 ext. 2042. Choose Standard, Deluxe or Premium tours. An up close look at a gigantic Galapagos tortoise with a Behind-the-Scenes tour featuring the reptile giants of our historic reptile house. Times: Sundays and Thursdays at 10:30 a.m.
Tour the Zoo's historic Aquarium and feed above our Pacific Coral Reef tank. Times: Mondays, Wednesdays, Fridays and Saturdays at 10 a.m.
Meet and touch a variety of small animals and learn about their care. 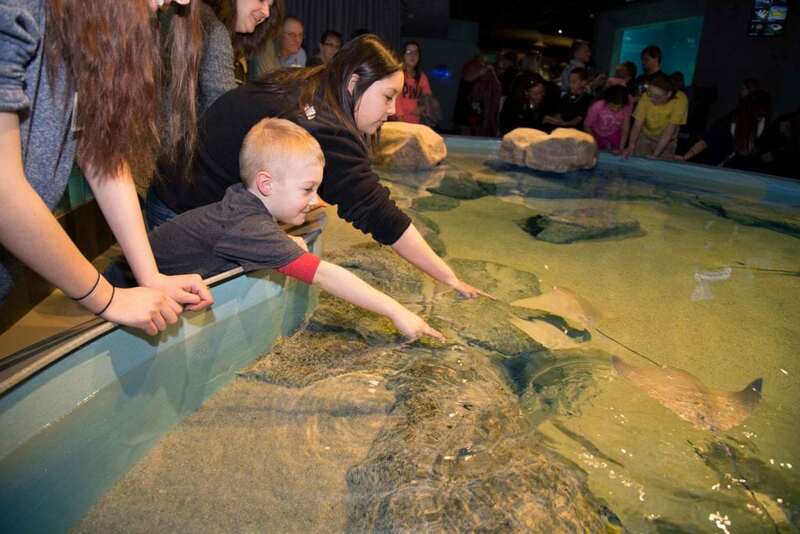 Times: Tuesdays, Fridays and Saturdays at 3 p.m.
Tour the Zoo's historic Aquarium and feed at our Sting Ray touch tank. Times: Sundays, Tuesdays and Thursdays at 9:30 a.m. Experience the fastest land animal up close with some of our boys' favorite enrichment! Feed colorful birds in our historic Aviary and meet and greet our tuxedoed penguin colony. Times: Mondays, Wednesdays, Thursdays and Saturdays at 2 p.m. Discover what it takes to care for the largest mammal on earth, meet the elephant team and view a training session up close. Times: Saturdays and Sundays at 1:15 p.m.
Meet our group of red pandas as you get an up close view of them in their Primate Forest Exhibit. Times: Saturdays and Sundays at 9:00 a.m.
Children under the age of 12 must be accompanied by an adult 16 years or older. For the safety of our animals and guests, please follow all staff directions and remain with the tour group. Please do not touch and/or feed any animals unless instructed by Zoo staff. All tours are walking tours. Wagons and strollers are permitted in public areas, but you will be asked to park them during behind-the-scenes portions due to space. Wheelchairs and scooters are accommodated with advanced notice. Please contact us to cancel a pre-booked tour. For day of questions, please call 419-385-5721. Cancellation 2+ days in advance receives full refund or reschedule. Cancellation less than 24 hours in advance receives 50% refund or reschedule. Cancellation or "no show" the day of tour receives no refund.